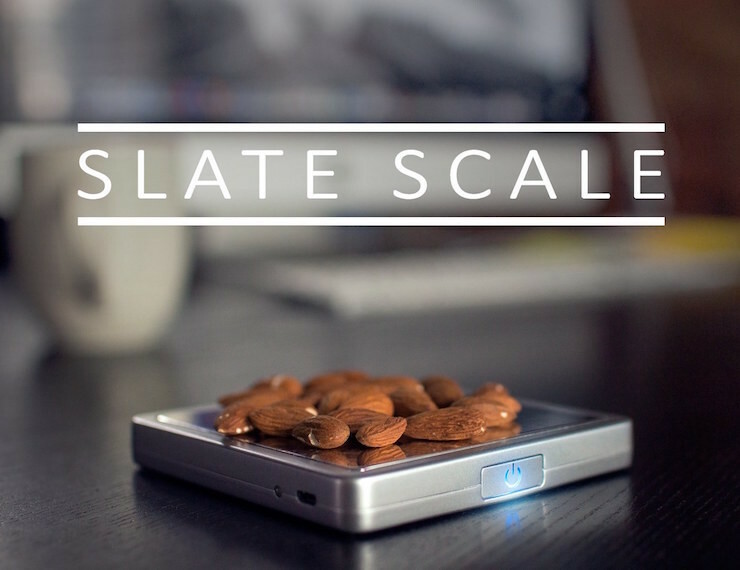 Slate – The Worlds First Portable Smart Scale For Nutrition | OhGizmo! By Gadget Flow on 10/26/15 • Leave a comment! Slate is a well designed smart scale that connects via Bluetooth to your smartphone. Slate is like a personal dietician and uses a mobile app to provide highly personalized nutritional information ranging from calorie intake, food weight, to macronutrients such as fats, protein and carbs. Track anything you eat and get to your personal health goals faster. The portable design makes it a highly functional accessory you can easily carry on the go. From calorie intake, food weight to macronutrients, this smart scale works like your own personal dietician. You just have to turn on Slate and it will automatically sync to your phone. Then place your food items on the scale and get the nutritional information directly on the mobile app thereafter.